Catalina’s qualifications are in finance and business management (MBA from London Business School, London, UK), while her experience spans over 20 years in a variety of roles and organization types, both in a developing economy (Romania) and a mature, well-established market (the UK). 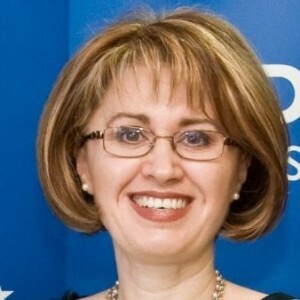 Among the roles Catalina covered were top management roles in service providing industries (General Manager of Medicover Romania, Executive Director of Bancpost SA) that required ability to think strategically, manage a large variety of information and business transformation concerns (from cost reduction to revenue increase, products and sales channels diversification, from operational streamlining, new facilities opening to MIS reports designing in view of effective management), as well as communicate effectively, inspire and motivate large teams. Catalina also held operational management roles (with Citibank Romania) that required structural thinking, discipline and ability to design and implement processes. She thus brings to the team a well-rounded experience in a variety of roles and contexts that rendered her a high ability to competently work across multi-disciplinary and multi-cultural teams and environments for the resolution of the wide-array of business challenges that confront companies’ in today’s world.